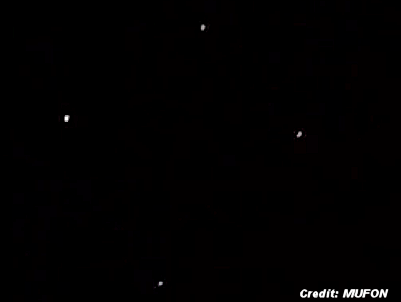 A Florida witness at Longwood reported and videotaped sphere-shaped UFOs forming a square that moved and hovered and made no sound, according to testimony in Case 54305 from the Mutual UFO Network (MUFON) witness reporting database. The witness reported watching four glowing objects above Longwood as they crossed Wikiva Springs Road at 11 p.m. on February 25, 2014. After approximately three minutes traveling together the objects appeared smaller to the witness as if they were gaining altitude. [...]The witness reported watching four glowing objects above Longwood as they crossed Wikiva Springs Road at 11 p.m. on February 25, 2014.